We are very proud of our team here at Voice+. All of our team are CRB checked. After graduating from LIPA (1998) with a BA HONS performing arts/music, Natasha worked as a singer with the famous Joe Loss Orchestra, working from home and abroad. After 8 royal performances at Buckingham Palace and many exclusive gigs for 10 years, Natasha decided it was time to move on and develop her career as a Solo Singer, Singing Teacher and Vocal Coach. Natasha has recently qualified with a PGCE from UCLAN. Natasha was the singing teacher for 15 years on the BTEC National in Performing Arts at Southport College, and also taught at Merchant Taylors boys school in Crosby and Sacred Heart Catholic School, Crosby. Natasha also composes music for herself and also creates songs for other peoples' lyrics. When Natasha is not busy with her own private singing pupils, she is singing for weddings and private functions. Teaching has always been Cait's passsion and since being a student of Natasha Brookes since 2006 - she is now a part of the teaching team here at Voice+. 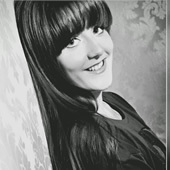 Caitlan started as Office Manager in 2012 and has since qualified as a Singing Teacher under the principal Natasha Brookes. Caitlan teaches Musical Theatre as well as teaching her own singing students. With her all-round knowledge of how the academy runs she is a centre piece to the staff and pupils here at Voice-Plus. Caitlan is the lead vocalist for a local band called Misspelt, and regularly performs solo at other gigs and concerts as well as being involved in entertainment management for music events. 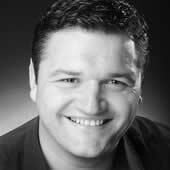 John is a multi-talented member of our team who has spent the last 16 years working professionally on the West End stage, most recently Sweeney Todd with Michael Ball. John has performed in a vast array of musicals and plays. In his spare time John has studied the art of magic and is now a member of the Blackpool and Manchester circle of magicians. John is a great asset and multi-talented member of our teachers. John trained at Guildford School of Acting in London. Richard has been playing guitar for over 10 years. He studied guitar through the London College of Music where he achieved a Grade 8 Destinction on the Electic Guitar. 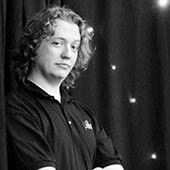 As well as this, Richard also has a First Class BSc degree in Audio and Music Production and a BSc degree in Computer Games Technology. Richard regularly performs live as the guitarist for Misspelt, as well as guitar in other musical projects. Now part of the teaching team here at Voice Plus, Richard also runs our recording studio. He also contributes to Voice Plus gigs by running the sound desk. 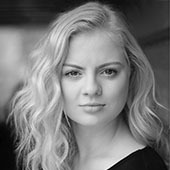 Bex is an enthusiastic, fully-trained, professional with a BA (hons) degree in Musical Theatre and a Masters degree in Acting. 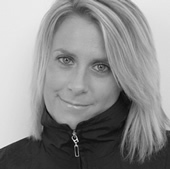 Bex has a diverse range of performance and teaching practice with skills in stage, film and radio acting. She also produces and performs in plays with her own theatre company, Roots Theatre. As a drama teacher, Bex aims to support, challenge and expand limitations for her students, offering class as a safe space to develop. She uses her knowledge and passion to nurture creativity, hone skills and give students the confidence to succeed. Zoe is a qualified Dancer, coming from a long background in Dance and choreography. She has experience in performing both on stage and on television. She runs dance classes both in Voice-Plus and around the Southport area for both kids and adults, as well as at her family’s own dance school. Zoe’s diverse range of dancing styles range from Musical Theatre and Ballet, to Jazz and Belly Dance. She has been nominated for the NODA Best Choreographer award for her work on stage productions including Carousel, The King And I and 9 To 5. 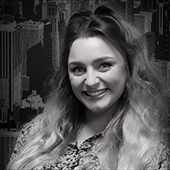 Lucy is a bubbly, energetic fully-trained, professional with a BA (hons) degree in Drama at Liverpool John Moores University. 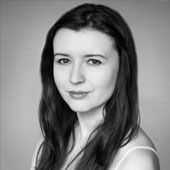 Lucy has over six years experience in both Drama and Performing Arts. a drama teacher who is fully trained in all areas of Drama including, film, radio, stage, voice over and Directing. Lucy has a strong passion for teaching Drama and Musical Theatre, she prides herself on motivating her students and ensuring they gain the confidence they need to succeed. Full of excitement and passion Lucy is sure to get those Drama vibes tingling!